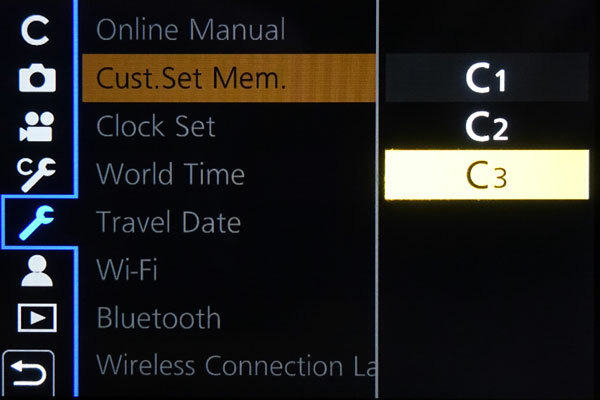 On this page, I describe how you can create sets of custom settings on the Panasonic TZ202, how you can store them in one of three internal memory locations called custom sets (C1, C2, C3), and how you can recall them for use. 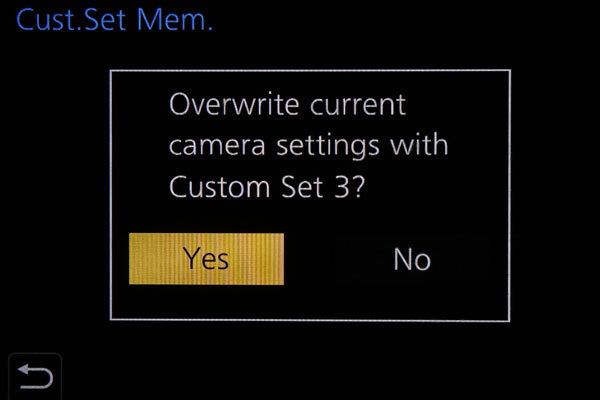 Note: The custom settings do not affect how you set the camera controls (see below and page Configuration). 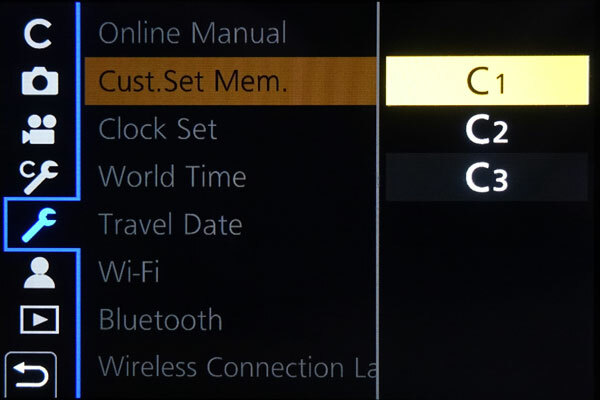 Introduction: What are Custom Settings, What is Included, What Is Not? 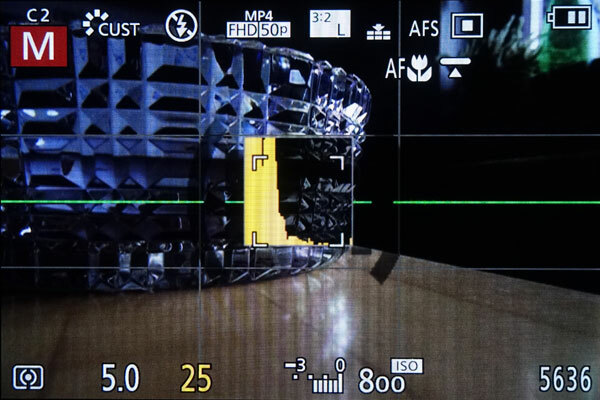 The Panasonic TZ202 allows you to store three plus sets or groups of custom settings, which can be used to tailor the camera to specific photographic situations and which can be recalled as needed. How these sets are created and recalled is described below; furthermore, I present some ideas on how these sets can be used. 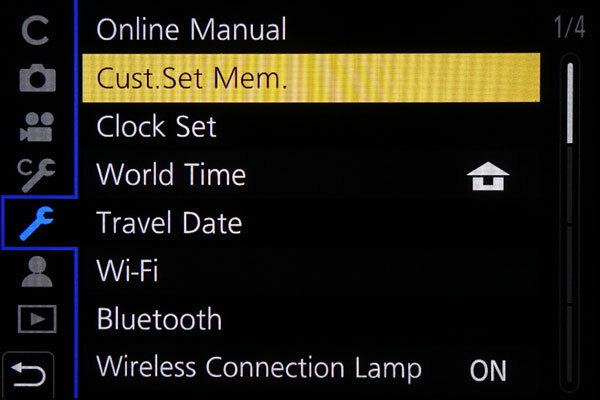 The following menu items are not registered as custom settings. 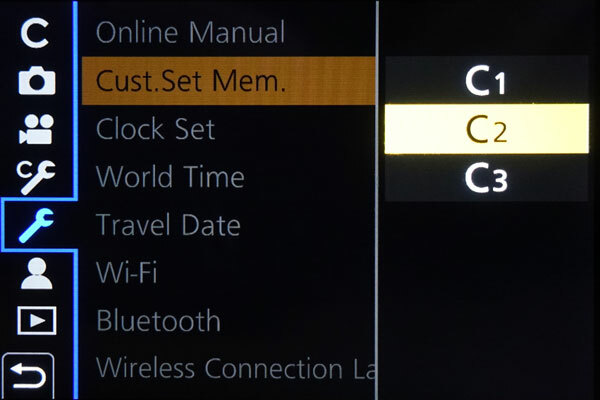 The Panasonic TZ202 has three sets or groups of custom settings numbered C1, C2, and C3 . Regrettably, the sets cannot be given names that indicate their purpose. First, I will describe, how you can recall the sets. After selecting a custom set, you are returned to the shooting screen. 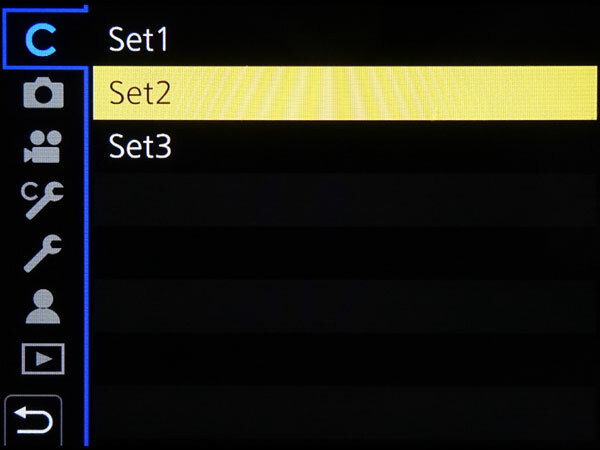 Depending on the type of display, the custom set will be shown briefly only or permanently (detailed information) next to the mode symbol at the top left. 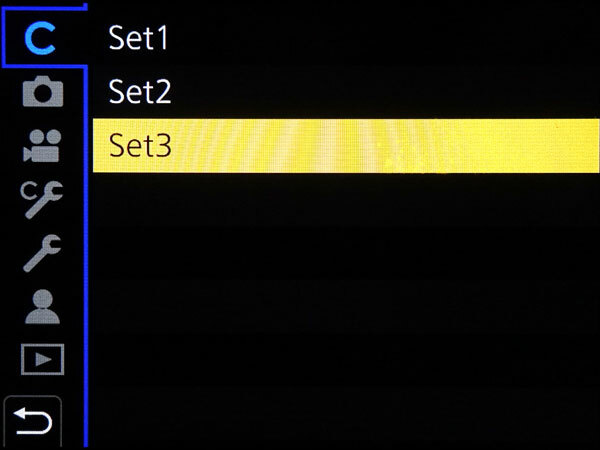 On this display type (detailed information), the custom set is displayed permanently next to the mode symbol. 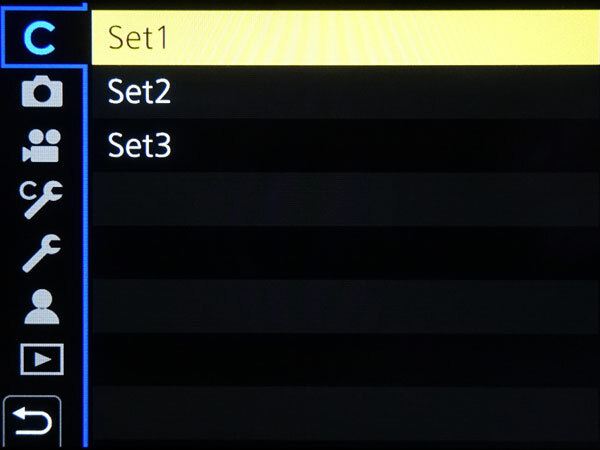 In the following, I describe how you can create sets of settings, assign them to one of the three available memory locations (or custom sets), and edit them (how to access them is described above). 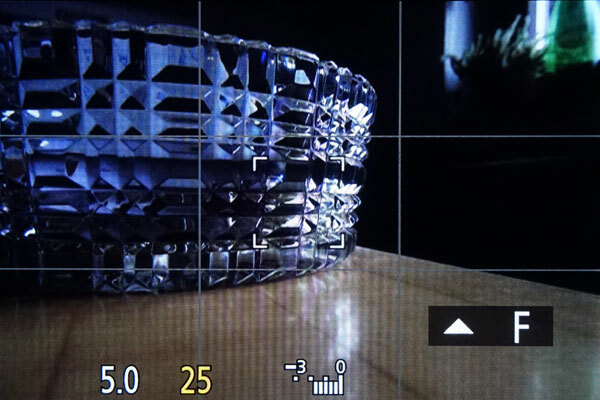 (1) Set the camera to the desired settings. (2) Press the Menu button, go to the Individual menu, navigate to screen 1, item Cust. 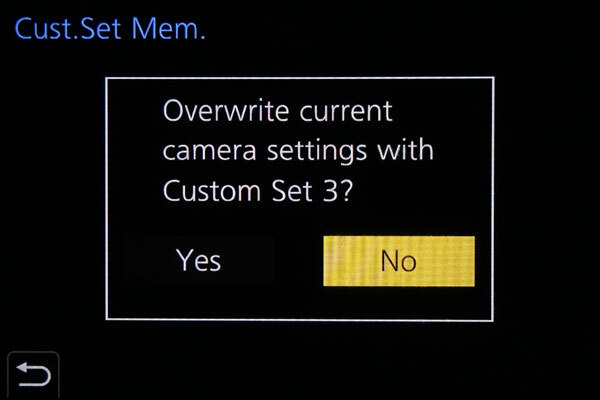 Set Mem., and press the OK button to call the menu for selecting the custom set in which you want to store the (changed) settings. (3) After selecting a custom set, you are asked to confirm your selection. 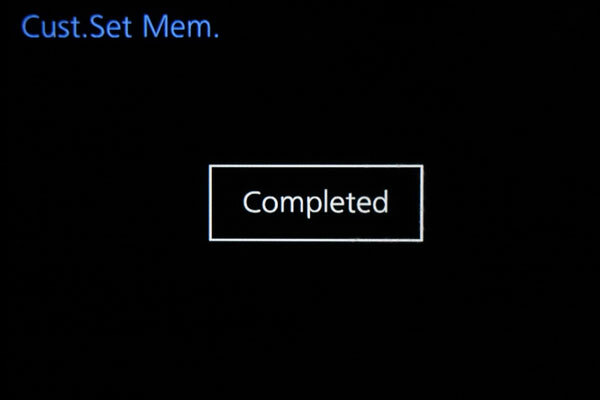 After confirmation, the camera answers with "Completed" and returns you to the menu (see above). Thereafter, you can leave the menu screen. First recall the respective set using the C mode and select the respective custom set that you want to modify. Press the Menu button, go to the Individual menu, screen 1, item Cust. Set Mem., ad press the OK button. Finally select the register (in this case the one that you have recalled), and save the new settings. 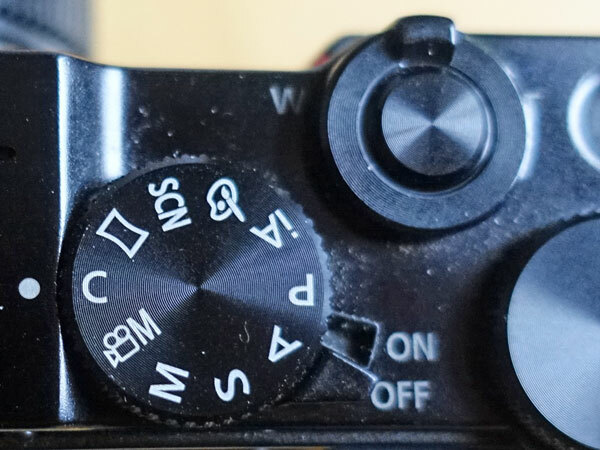 On this page, I more or less describe the "mechanics" of the custom settings for the Panasonic TZ202. Since I did not use them up to now, I cannot give any useful advice on this matter. I therefore would like to point you to some books and places on the Web where this topic is dealt with. I am just at the beginning of using the custom settings myself. Experience will show, whether I will really use this feature. Saving a "macro" setting in the custom settings seems the most useful to me at the moment, because I would have to change quite a number of settings for close-up shots (see page Close-Up Experiences). 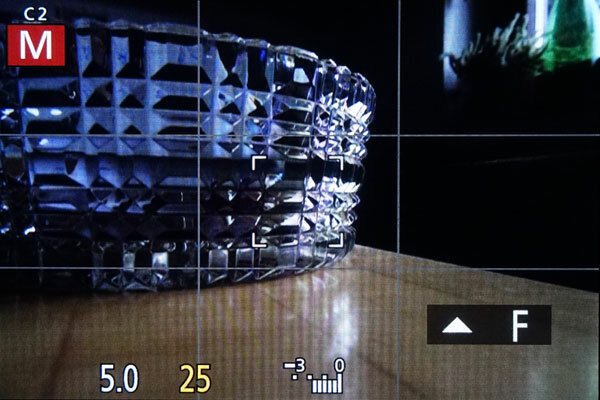 Thus, a dedicated "macro" mode would simplify switching between normal and close-up shots.